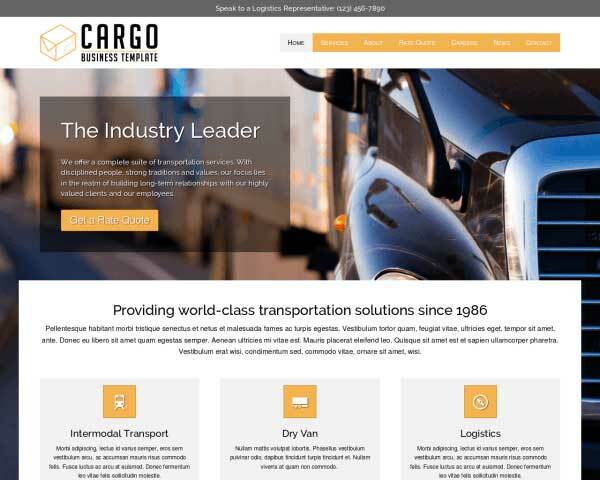 With a professional website built with the Logistics WordPress Theme, you can convey your message of authority and trustworthiness in the logistics business. Just fill in your own text and photos on pages already set up with placeholder content. 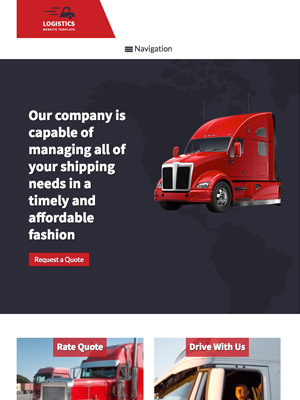 With the Logistics WordPress Theme, we've made it manageable and affordable to quickly build a professional website for your logistics company. The color scheme and page layouts area easily customized using our unique front-end editing tool and drag and drop widgets. No coding skills are required! 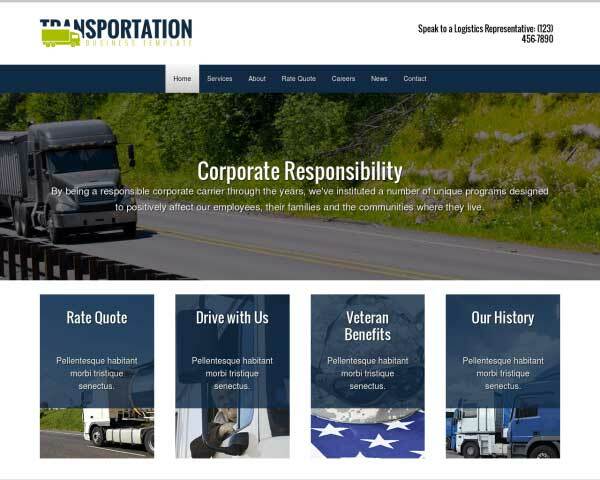 With your own content in place, the Logistics WordPress Theme helps you convey your message of experienced, reliable services and reach more clients online. It's WordPress so the Logistics WordPress Theme can't do without a good blog overview, which also is an excellent way to attract more visitors. 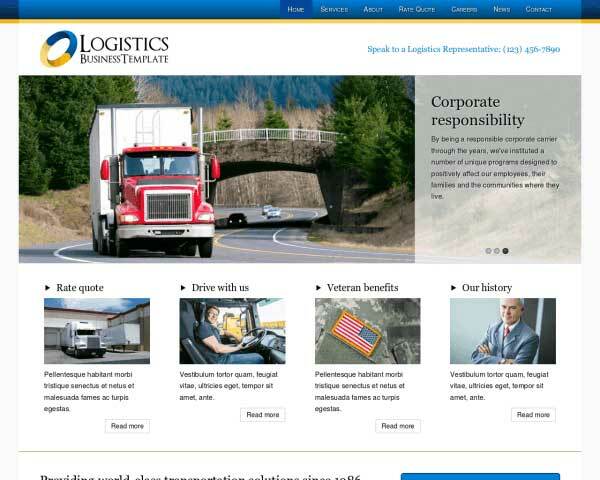 The Logistics WordPress Theme was designed with the needs of a logistics specialist's website in mind. With an easy-to-navigate layout and industry-specific business features, you'll have a comprehensive overview of your services online fast! 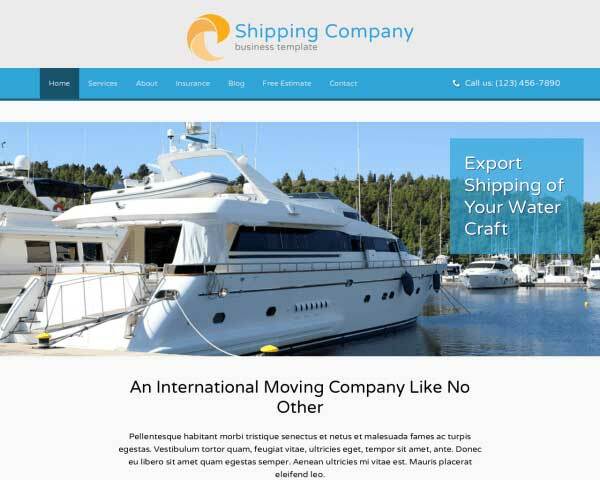 The Logistics WordPress Theme's Contact page features an integrated Google map and a built-in contact form. Easily customize the fields to suit your needs. As you can see the Logistics WordPress Theme has a beautiful design zen. The zen of the design is accomplished by the spacing of elements, and the way the colors are being mapped and re-used throughout the site. Outline your rate structure and services on the dedicated page of the Logistics WordPress Theme. Add rows, columns or price charts as needed. A full page for each of your services is already set up and ready for your text and other content when you build your website with the Logistics WordPress Theme. Allow your visitors to see an at-a-glance overview of your services, directly from the homepage of the Logistics WordPress Theme. 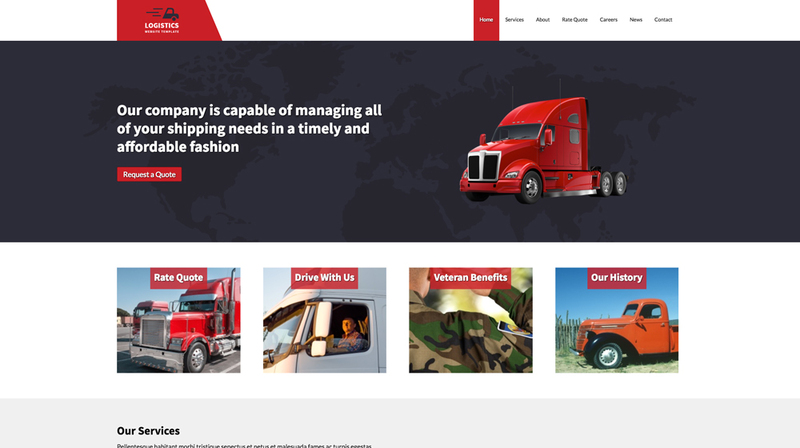 This WordPress theme for logistics companies comes packaged with social media options like sharing and following icons for popular platforms and widgets that display a Twitter feed or Facebook like wall. 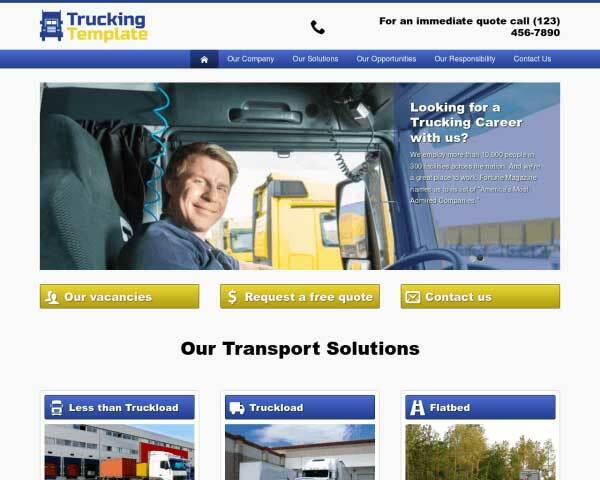 On the Careers page of the Logistics WordPress Theme, you can list staff vacancies with detailed job descriptions and offer instructions for candidates to submit an application. 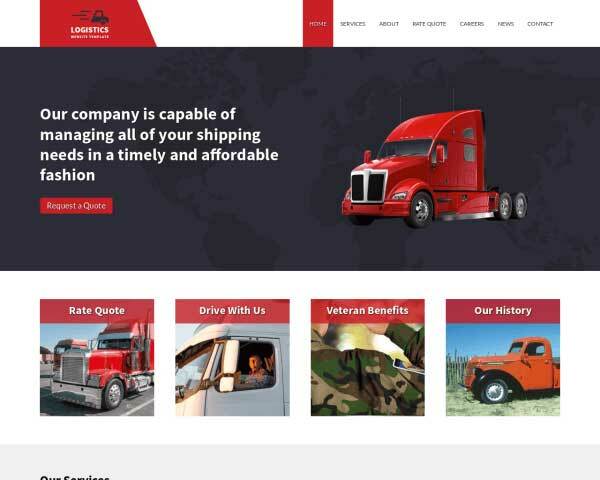 Both regulars and new clients will appreciate learning about your history and seeing the faces of your friendly team on the Logistics WordPress Theme's about page. 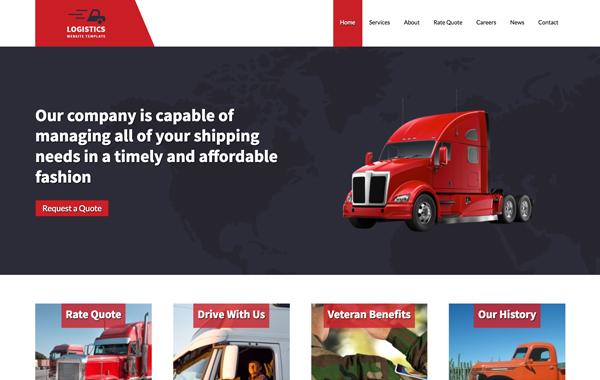 Great for growing businesses, the Logistics WordPress Theme is set up with a page to advertise vacancies and offer information about working at your logistics company. Have you ever noticed how more and more people are using their smart phones to browse the web? We have too and that's why the Logistics WordPress Theme is mobile ready, from day one! Mobile visitors will enjoy the same professional look and functionality of the desktop version, from their mobile devices. Users can simply 'tap to call' you or tap to email you.There's nothing that you need to do on your end, the theme takes care of everything!